Kenyan Commercial Bank (KCB) started the new year with special appreciation for their customers. The bank has initiated customer interaction sessions within its branches led by its management. This is the beginning of several customer appreciation events to mark the bank’s 10th anniversary later this year. KCB Bank Rwanda Managing Director George Odhiambo said that without custpomewrs, the bank would not have made it that far. He was speaking at KCB MTN center Branch at Nyarutarama on Thursday. “Obviously, we would not have made it this far if it had not been for our customers. Collectively, we the customer appreciation have made it to the great milestone of 10 years in the Rwandan market,” he said. 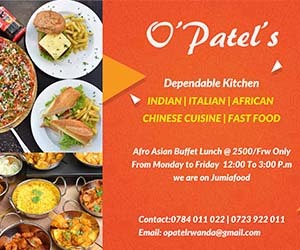 Odhiambo noted that customer appreciation event is not something new. Every year that they start, they appreciate and connect with their customers. “Like in a family, we keep initiating them every time that we have an opportunity. This is an event that we take time out of office walking to businesses that we do. We have no appointment with customers that we meet there, we just appreciate them and value their choice for being our customers.” he said. Alex Kananga, a KCB bank customer who was present at the event has been working with the bank for the last three years. 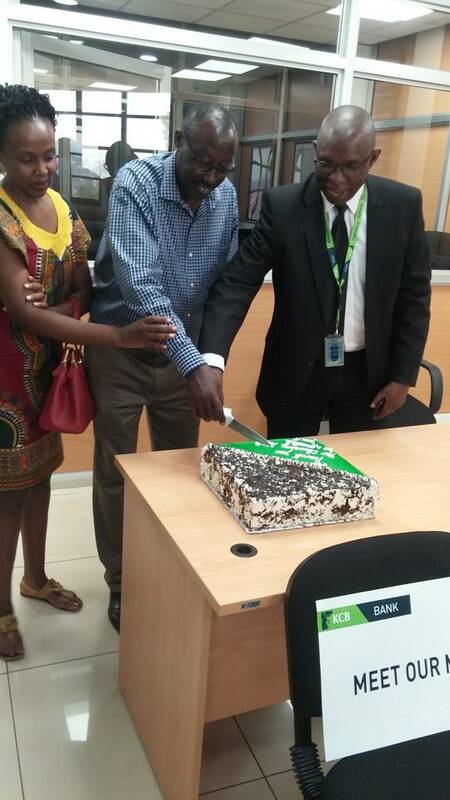 He shared a cake with other KCB customers saying the bank has been treating him warmly. “First of all, they respect and serve us well. Secondly, we thank them for thinking about sharing this cake with us today,” he said. Carol Murekezi another KCB bank customer who has been banking with KCB for nearly six years joyfuly told Taarifa that “this is the bank I have really enjoyed the services. The staff is very good to clients and they make us feel comfortable”. She added that the bank’s services are efficient, she can send money anywhere she wants and opening an account is very quick. KCB Bank opened in Rwanda in December 2008. Today, they have 12 branches in different provinces of the country. Throughout the years, the bank has invested several social programs through KCB Foundation that have focused on health, education, enterprise development and environment. Additionally, the bank has become a market leader in innovative digital products, and a key partner in the manufacturing and construction sectors. During their latest customer appreciation event, the bank’s management engaged customers within the branches, while providing special gifts and appreciation cards. Customers took the opportunity to give their feedback and seek information on products and service delivery. KCB Bank has also contributed to the economic development of Rwanda through a number of remarkable infrastructure projects. Most notably, the ongoing construction of the new Bugesera airport, Kigali Heights, Park Inn by Radisson Kigali, Ubumwe Hotel, Century Park Hotel and Residence, in brief.